During her years growing up in Kalamazoo, Sonya (Bernard) Hollins loved visiting her grandmother’s house. What was most exciting was getting the latest Ebony and Jet magazines from the mailbox. The pages were filled with the stories of African Americans who were achieving their dreams and inspiring others to do the same. Sonya, a native of Kalamazoo, soon developed a passion to share the stories of others as a journalist. For more than 20 years she has worked as a professional journalist at daily and weekly newspapers as well as served as a freelance writer for local, state and national magazines such as Black Enterprise. She has earned awards for her writing by the Michigan Press Association, Associated Press of Michigan and others. She has been recognized for her professional and community service by such organizations as the A. Philip Randolph Association (Battle Creek Chapter), American Business Women’s Association (Battle Creek Chapter), Western Michigan University/Kalamazoo Valley Community College, Focus Program Alumna of the Year, and Heritage Battle Creek Sojourner Truth Anniversary Committee, to name a few. The Western Michigan University graduate (’93) is active in the community of Kalamazoo as a member and board member of various organizations. She is on the board of the Black Arts and Cultural Center, Friends of Historic East Campus, Volunteer Center of Greater Kalamazoo, and has been active with various other organizations such as the Ladies Library Association and Battle Creek Community Foundation Ambassador program. In 2008 she founded a youth organization for young girls called, the Merze Tate Travel Club. 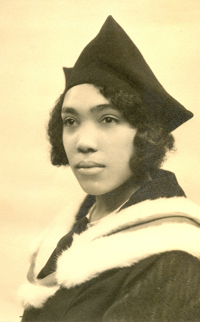 The club is named for Tate, a Michigan native, who was the first African American to graduate from Oxford University in England and was a world traveler. The club has been featured in various news features including National Public Radio with Kyle Norris, WMUK with Gordon Evans, the Michael Eric Dyson Show in Baltimore, Maryland, and 1560 AM The Touch with host Buddy Hannah. Sonya also is the curator of the traveling photo exhibition, “The World Through the Lens of Merze Tate,” which opened at the Michigan Women’s Hall of Fame in Lansing, Mich., in February 2011. The exhibit was reported to be one of their most popular, and has since been booked at various venues throughout Michigan. Follow this link for more information on Mertze Tate. Sonya is the author of the book, “Here I Stand: A Musical History of African Americans in Battle Creek, MI,” and also is a playwright and contributed to the recent Von Washington Production, “My Heart Belongs to You, Kalamazoo.” She is often sought after for assistance in local history book and presentation projects throughout Michigan and is completing a children’s book and biography of the life of Merze Tate. 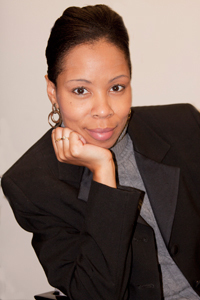 She is currently the editor and publisher of Community Voices online and print magazine. She and her husband Sean have four children and reside in Kalamazoo. To contact Sonya about her lectures, email her at editor@comvoicesonline.com .